Conservatives are demanding an end to politics as usual. We are demanding an end to running up devastating debt, to cozy deals between the government and unions and other special interests, to crushing free enterprise with ruinous taxes and regulations, to locking up our energy resources, to the hundreds of government programs that create ever-increasing dependency and soak up our tax money without benefit, and to projecting national weakness that invites our enemies to take advantage of us. At The Heritage Foundation, we share all of these concerns and more . . . and we’re prepared to take action with your renewed Heritage membership for 2012. As we enter this critical year, our aim is to prepare conservative candidates and officeholders with the facts, the analyses, the motivation, and the backbone to take strong, effective actions on the concerns listed above. We must take action that will restore America to the constitutional republic it is meant to be and will reverse the progressive and leftist policies that are destroying us. We understand that conservative legislators will still face President Obama’s veto pen this year. But that doesn’t mean they can’t advance the conservative agenda—and Heritage will hold their feet to the fire to see that they do. But we need your renewed support. No other organization has the resources we have at The Heritage Foundation to promote the conservative agenda. Thanks to the support of our more than 710,000 Members, we are America’s most influential conservative “think tank,” with 270 experts and staff based in Washington, D.C. Heritage experts passionately advance the conservative principles and ideas of America’s founding. We reach out to members of Congress, the media, and the American people with our advocacy of free enterprise, limited government, individual freedom, traditional American values, and a strong national defense. But we will not succeed in using all of these assets to our advantage without your renewed financial support. 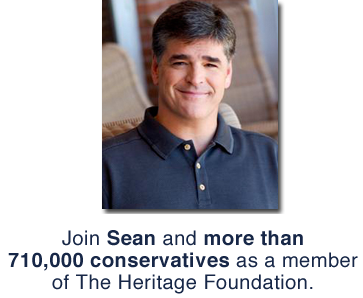 With so much at stake, 2012 is a crucial year for The Heritage Foundation and for all conservatives. Will you renew your Heritage membership and reaffirm your commitment to the conservative principles that will save America? Please stand with us in 2012 as we turn the tide. The future of our nation is at stake.